an ideal way to start an exercise regime. It is easy to vary the exercise to suit different levels of fitness and we offer different classes for different needs. If you have a niggling injury and walking, running, jogging, pilates or gym is aggravating it you may need to alter your exercise for a while. Water is a great option used by track and field athletes to maintain fitness and endurance while injured. Did you know? If you think that a water-based, low impact exercise program must be for wusses, think again! Researchers at the University of New Mexico report that deep-water running burns 11.5 calories a minute, about the same rate as a 9 minute/mile road run (approx. 6 min/km or approx.. double walking speed). Sounds pretty good doesn’t it! deep water options – for those that don’t mind the deeper more challenging route we have deep water options. 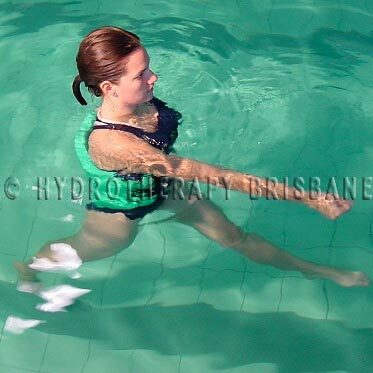 Deep water exercise is used for cross training in track and field, in injury rehab, return to exercise after injury /surgery. It is a great cross training option for any athlete, gym goer or for the overweight person starting their journey. Before your first solo session in the pool, we will need to assess your abilities. This may be as simple as a quick session with a personal trainer or exercise physiologist, or a longer session with a physio to fully assess your needs. 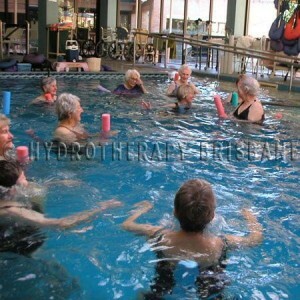 Once you have a program, you can use the pool by yourself within specified hours. Please contact us to discuss and address your individual needs. one heated to approximately 30°C (just slightly cool when you first get in) mainly used for a higher level workout. It’s indoors, undercover, plenty of parking and … you can keep your hair dry!!! For details on our classes or for an update on our demonstration classes contact us .